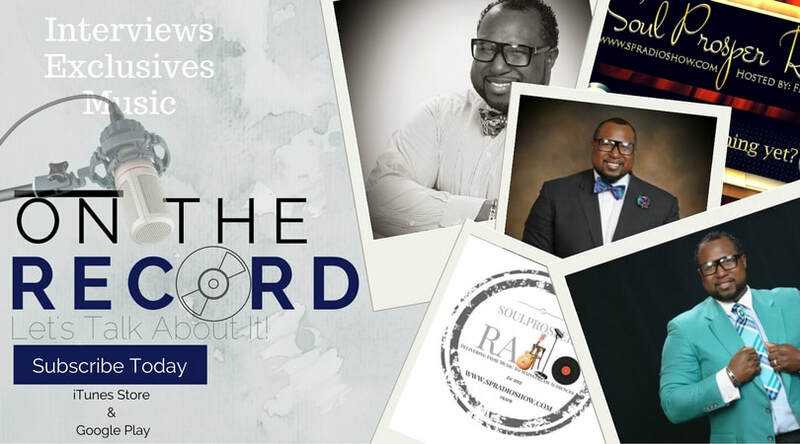 SoulProsper Radio is your home for the REST of the best in gospel music! Welcome to SoulProsper Radio home of great gospel music and award winning on-air talent. We're on 24/7 with music and ministry you love! Our playlists are loaded with the best of mainstream and indie gospel music from around the world! We support these artists by paying royalties via licensing through LIVE365. We are fully compliant with the new CRB Ruling of 2016 and broadcast with full confidence of coverage commensurate to our agreement with LIVE365. What's hot in the SMG Report? Visit our journal, updated daily with news compiled from our sources around the globe. It's time for the stellar gospel music awards. get caught up on all the nominees , honorees and performers in our pre-show coverage! It's finally here! Aretha Franklin's 1972 recording "Amazing Grace" opens in theaters, this spring. It's finally here! The groundbreaking 1972 live recording that cemented Aretha Franklin's legend as one of the world's greatest singers and gospel treasures comes to theaters, this spring! Read our coverage of the late Aretha Franklin's gospel legacy. While she was known as the undisputed Queen of Soul, her gospel roots were ever present in her singing and playing. Meet Fred Willis, our award winning programmer and on-air talent and producer of the "On the Record" podcast. Fred hosts Today's Top 10 weekdays at 4pm CST and features a rich mix of indie and mainstream music in his daily countdown of hot gospel music! The mix changes daily, don't miss a show!